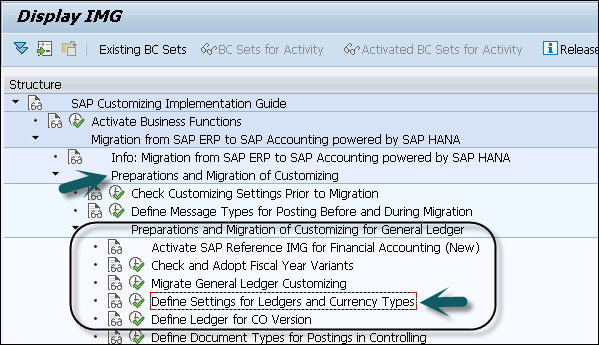 In SAP Simple Finance, you can use multiple ledgers in parallel. Ledgers are used to generate different financial statements as per accounting principles. 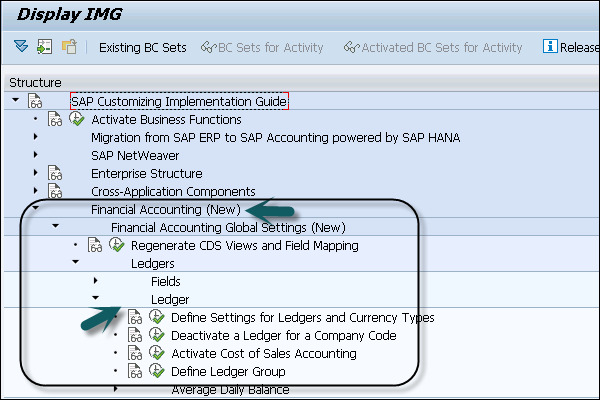 Ledgers are defined in Customizing for Financial Accounting New. To create a ledger, navigate to Financial Accounting (New) → Financial Accounting Global Settings (New) → Ledgers → Ledger. When a ledger is created, the system automatically creates a ledger group with the same name. You have to define one ledger as the leading ledger and in the standard system leading ledger is 0L. The leading ledger is assigned to all the company codes. A Leading ledger contains the same setting like currencies, fiscal year variant, and posting period variant that apply to the company code. It is also possible to define a secondary and third currency for each leading ledger. 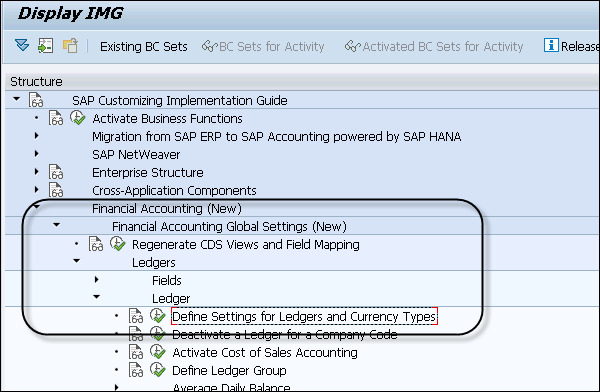 Navigate to SPRO → IMG → Financial Accounting Global Settings (New) → Ledgers → Ledger → Define Currencies of Leading Ledger. Non-Leading ledgers are also called extension ledgers. Non-Leading ledgers are based on local accounting principles. 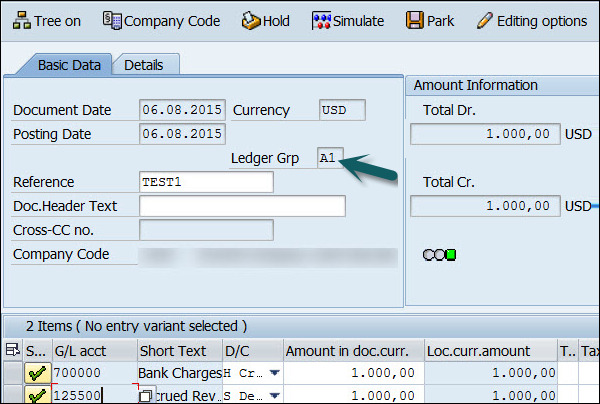 You can perform assignment of Ledger to Company code from the ledger menu. Navigate to SPRO → IMG → Define Settings for Journal Entry Ledger and Currency Type. In Customizing, you have to set up the ledger and assign it to the company code. Assume that there is a company code with assignment to Ledger N1 non-leading ledger, we also assign ledger A1 for the company code. You can display this in the financial table – ACDOCA. Enter the transaction code SE16n in Transaction box → Press ENTER key. Enter the table name – ACDOCA and see the display. Let us say you have to create financial statements as per IAS Accounting and individual company codes has local accounting principles such as US GAAP. Ledger 0L − You can create a Leading Ledger to manage as per group accounting principle. Ledger L1 − You can create a Non-leading Ledger that can be used to manage all company codes as per US GAAP.